Our unique guaranteed scheme does not require you to purchase an insurance policy. We are so confident of our tenants that this guarantee is offered in-house. Hundreds of landlords are currently benefiting from this scheme knowing that no matter what their rent is fully paid by Denhan. We have a proud record of not one of our landlords experiencing a void period during the length of their contract with Dehhan. This means not a single landlord lost a single month’s rent when they joined Denhan’s Guaranteed Rent Scheme. We have a 0% commission scheme where our landlords are charged no commission for letting and managing their property. We will agree with you an attractive market rent for your property and that is what you will get without any deductions – there are no other hidden charges. You will never know when something can go wrong. Tenants in properties managed by Denhan are provided with an out-of-office emergency number to deal with any emergencies that may arise. We do this so that our landlords can rest assured that their property is in good hands. Our office is open from 9am to 5pm Monday to Friday. We are available for viewings until 7pm Monday to Saturdays. We can advise you on these and other matters which will dealt with before the new tenant moves in, please click here for further details. If your property is mortgaged, you should obtain your mortgage provider’s written consent to the letting. They may require additional clauses in the tenancy agreement of which you must inform us. If you are a leaseholder, you should check the terms of your lease and obtain the necessary written consent before letting. Council tax is the responsibility of the occupier. We will advise the local council office when a new tenant moves into a property. If a property is temporarily empty, Denhan will cover the council tax until a new tenant moves in. We will provide tenants with details for the local council to enable them to register. When the landlord is resident in the UK, it is entirely his/her responsibility to inform the Inland Revenue of rental income received, and to pay any tax due. However, where the landlord is resident outside the UK during a tenancy, unless an exemption certificate is held, we as landlord’s agents are obliged to retain and forward to the Inland Revenue on a quarterly basis, an amount equal to the basic rate of income tax from rental received, less certain expenses. Electrical, gas, plumbing, waste, central heating and hot water systems must be safe, sound and in good working order. Interior decoration should be in good condition and preferably plain, light and neutral. You will need to allow for general wear and tear to furnishings and decoration during a tenancy. You are required by the Gas Safety (Installation and Use) Regulations 1998 to ensure that all gas appliances are maintained and in good order, an annual safety check must be carried out by a Gas Safe-registered fitter. 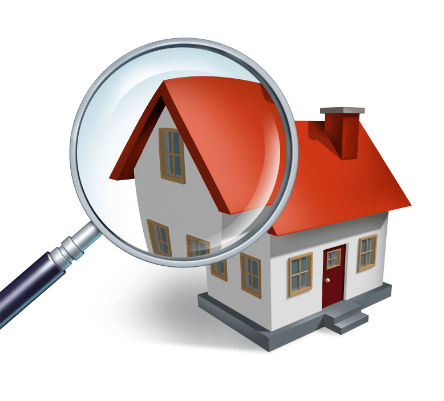 You must keep a record of the safety checks and it must be issued to the tenant within 28 days of each annual check. As a landlord, you must also ensure that the property’s electrical system (sockets and light fittings) is safe and all appliances tenants supply (eg cookers and kettles) are safe. Under the Landlord and Tenant Act 1985, landlords are responsible for repairs to the structure and exterior of the property – baths, sinks, basins and other sanitary installations, heating and hot water installations. Many of the problems experienced by tenants can be resolved by our in-house maintenance team. If they are able to resolve an issue, there will be no charge to you. However, if we have to instruct a tradesman, we will gain your permission in advance. It is recommended that you provide minimum furnishing and these should be of reasonable quality. You must ensure that any furniture and furnishings you supply meet the Fire Resistance Regulations in the Furniture and Furnishings (Fire)(Safety) Regulations 1988. The regulations set levels of fire resistance for domestic upholstered furniture. All new and second-hand furniture provided in a rental property must meet the fire resistance requirements. Most furniture will have a manufacturer’s label stating if it meets the requirements. Gardens should be left neat, tidy and rubbish free, with any lawns cut. Tenants are normally required to maintain the gardens to a reasonable standard, provided they are left with the necessary tools. At the beginning of the tenancy, the property must be in a thoroughly clean condition. It is the tenants’ responsibility to leave the property in a similar condition when they leave. 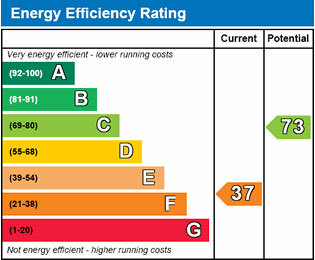 Energy Performance Certificates are designed to make you aware of how energy efficient your property is. It is hoped that this would prompt you to reduce energy use and carbon monoxide emissions. All rental properties must come with an EPC. Who can provide an EPC? Only a Licensed Domestic Energy Assessor can issue a certificate. We have a list of assessors who can issue a valid EPC at a very competitive rate. Contact us for more information. Do I have to have a new certificate for every new tenant? EPCs last for 10 years so once you have one you don’t need to do another one for at least 10 years regardless of how often you let your property.